Researchers say the blood test, which is the first of its kind, can reveal early mild cognitive impairment. A new blood test is able to detect the early stage of Alzheimer's Disease, according to researchers. A new blood test that detects the early stages of Alzheimer's Disease has been developed with "unparalleled accuracy" according to researchers at the Rowan University School of Osteopathic Medicine in the United States. Led by Dr. Robert Nagele, the test of 236 participants returned a 100 percent rate of accuracy in a proof of concept study that was able to detect mild cognitive impairment (MCI) in patients. "It is now generally believed that Alzheimer's-related changes begin in the brain at least a decade before the emergence of telltale symptoms," Nagele said. 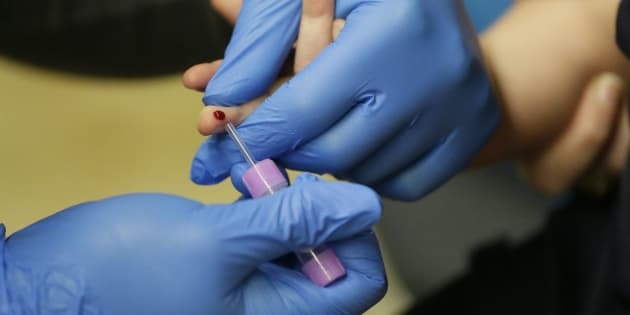 "To the best of our knowledge, this is the first blood test using autoantibody biomarkers that can accurately detect Alzheimer's at an early point in the course of the disease when treatments are more likely to be beneficial." If accurate this could be a quantum leap. Participants were chosen based on their low levels of amyloid-beta 42 - a peptide that is generally used to predict and identify symptoms of Alzheimer's Disease in patients, according to Science Alert. "Our results show that it is possible to use a small number of blood-borne autoantibodies to accurately diagnose early-stage Alzheimer's." The results were published in Alzheimer's & Dementia: Diagnosis Assessment & Disease Monitoring where researchers said the test could distinguish early-stage Alzheimer's from later, more advanced stages and from other cognitive diseases such as Parkinson's Disease, according to Fox News Health.